Wikipedia has teamed up with Los Angeles streetwear brand and crystal shop Advisory Board Crystals to release a surprise clothing collaboration. 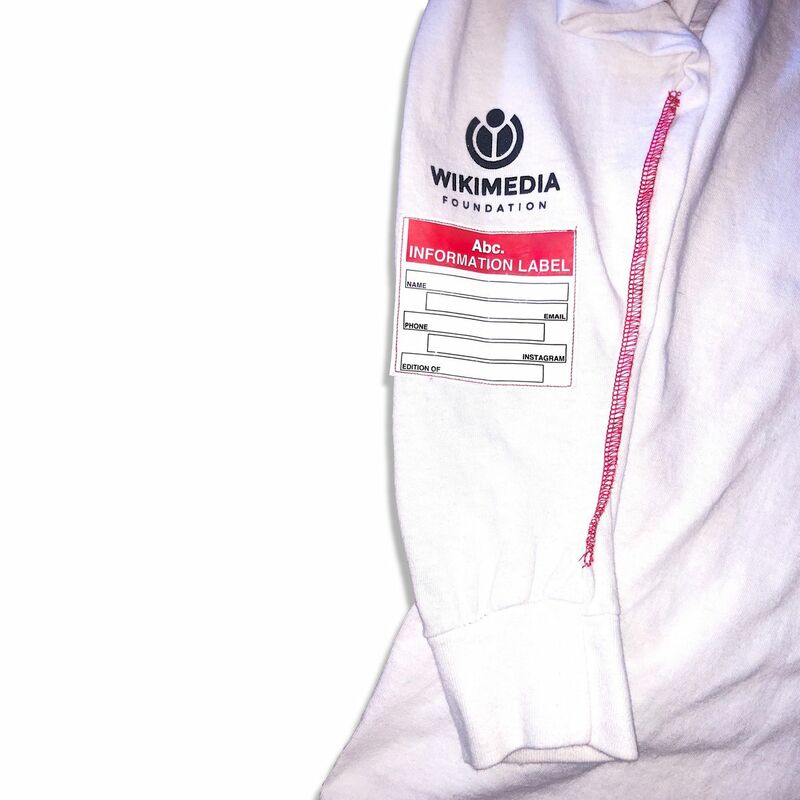 The result is a single long-sleeve T-shirt with ABC pledging all proceeds toward the Wikipedia Foundation. The shirt sports a combination of the Wikipedia logo and familiar visual elements of internet design to represent appropriated concepts. “Knowledge is power and awareness is survival,” says Advisory Board Crystals in their description. Wikipedia relies on donations to run, and while they do have an existing online store that sells everything from clothing to vision statement notebooks, you can now look cool while supporting open discourse and international cooperation. This isn’t the first time Advisory Board Crystals has teamed up with a tech company. It previously collaborated with LA-based company Early Warning Labs to create an Earthquake zine and hoodie package. The zine included information about how to prepare for and survive an earthquake, and each hoodie came with a QR code that gave access to an early-warning earthquake app. If you want to tap into your inner hypebeast with one of ABC’s Wikipedia shirts, you’re temporarily out of luck. Although they recently went on sale, the shirt is already sold out. If they restock and you’re lucky enough to grab one, the shirt will sell for $85.